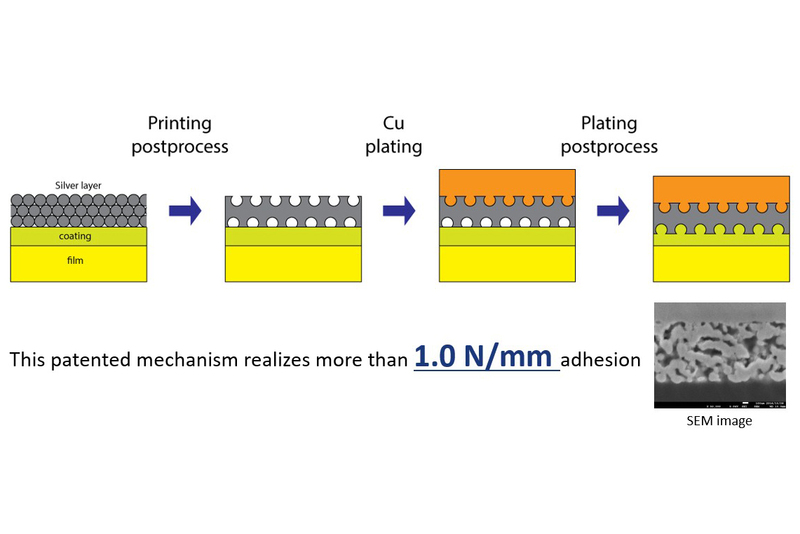 This manufacturing method consists of inkjet-printing silver nano-ink onto the substrate before electroless copper plating is applied to form the circuit. 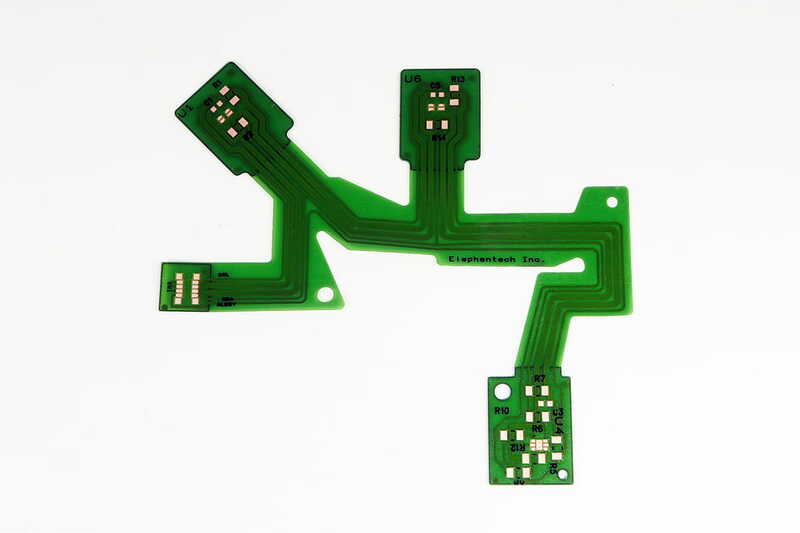 P-Flex™ is a single-face flex PCB manufactured using the Pure Additive™ method. 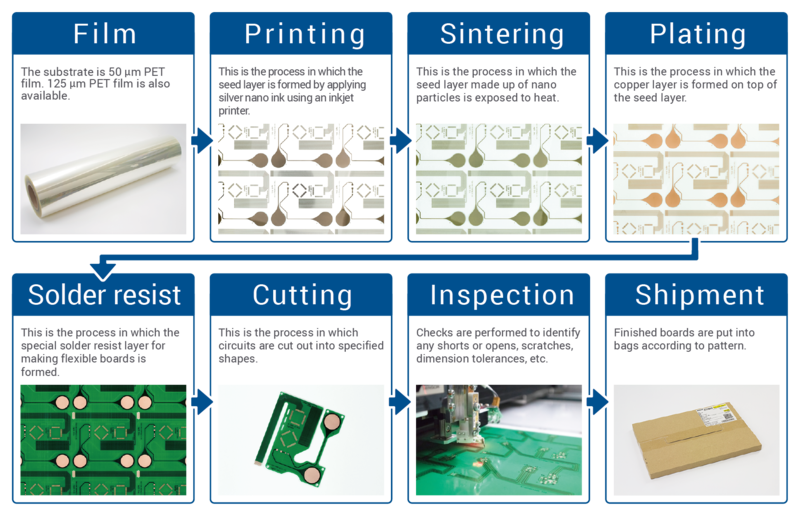 Conventionally, electronic circuits have been manufactured by applying a method known as lithography, in which a thin metallic sheet is first applied to the board surface, and then unrequired sections are melted away. 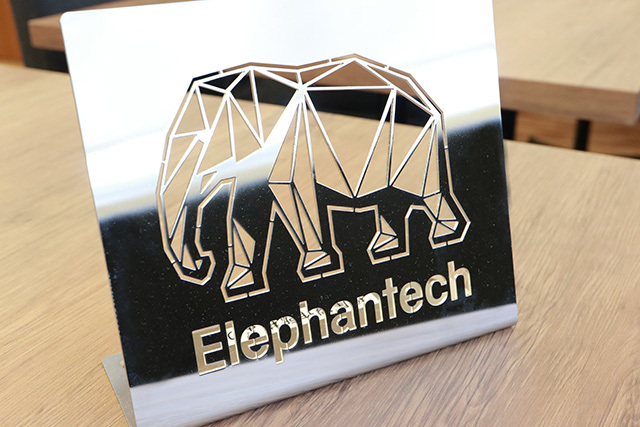 The novel approach to electronic circuit production that Elephantech has developed -- called Pure Additive™ processing -- is based on a totally opposite concept to the conventional method. In this innovative manufacturing method, metallic nano particles are printed only onto the required areas of the board surface, and then electroless plating technology is applied to grow the metal, providing the benefits shown on the right. Widely backed up with standard specifications shipped/developed 3 days after data issue. Because the manufacturing schedule is short, early delivery of mass produced parts is supported. Cost from development time to mass production time greatly reduced. Our factory has a monthly production capacity of 1000 m² and we can handle and support mass production. Since copper is only placed where it is needed, less than 30%* of material is used.